The new ebook aims to guide baby boomers and their family members in navigating the world of long term care insurance effectively. 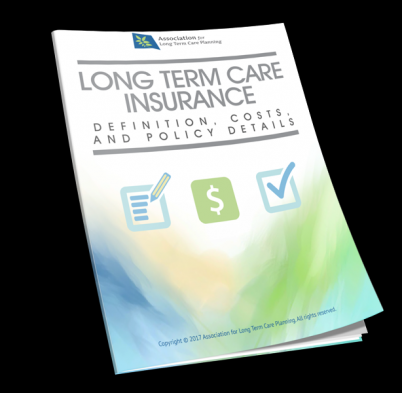 FORT MYERS, Fla. - June 30, 2017 - PRLog -- The Association for Long Term Care Planning (ALTCP.org) releases an up-to-date ebook, Long Term Care Insurance: Definition, Cost, and Policy Details. The 14-page spread provides vital information about the features and aspects of American long term care insurance as well as discussion on how to acquire these policies efficiently. This also includes important terminologies and recommendations on which actions to take after an application is denied. To provide the readers with a better overview of coverage options, the ebook discusses alternatives to long term care insurance policies such as Medicare, Medicaid, annuities, self-insurance, reverse mortgage, and hybrid policies. It also features the risk factors and key considerations in choosing the right type policy to fit individual needs. Moreover, this source shares a break-down of long term care insurance policies to help readers get a full understanding of each aspect for which they are paying. As baby boomers transition into retirement, they must realize the urgency of having a secured plan for long term care in place. People fear outliving their savings with the possibility of facing care costs, yet not many have taken proactive measures to secure coverage. "It's a tough time for baby boomers gearing up to retire. We as one generation need to take control of our future and lock down the policies that work," ALTCP.org founder and LTC Global COO Sukhjit Bassi cites. "With this online resource, along with various long term care planning tools (http://www.altcp.org/long-term-care-insurance-resources/), we seek to open the doorway where baby boomers get to retire independently and securely." The Association for Long Term Care Planning (ALTCP.org) (http://www.altcp.org/) is dedicated to spreading awareness about the importance of having a well-constructed long term care plan. Driven to promote self-education on the necessity of long term care planning, ALTCP.org strives to provide clients a one-stop information hub that eases the planning process. For inquiries, you may get in touch by requesting a long term care insurance quote (http://www.altcp.org/long-term-care-insurance-quote/)http://www.altcp.org/long-term-care-insurance-quote/ now.